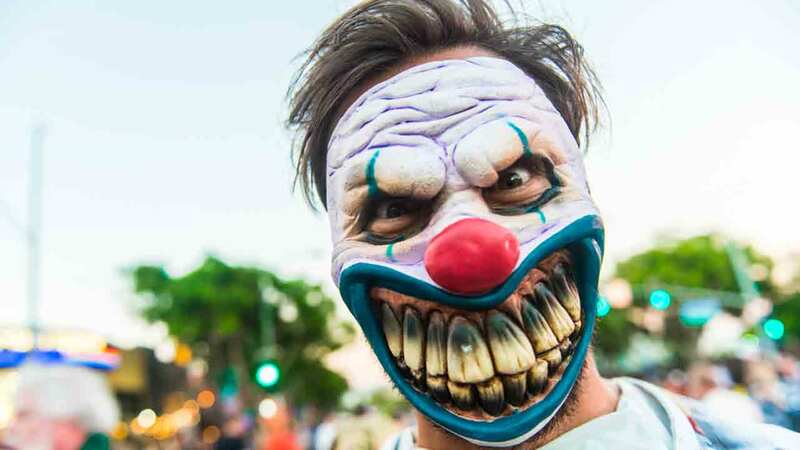 SANTA CLARITA, California -- A person dressed as a clown in Santa Clarita, California was apparently scared off after he approached a man who fired a gun into the air, according to the Los Angeles County Sheriff's Department. Authorities said a man called 911 to report that someone dressed in a clown costume holding a knife approached his home in the 25000 block of Via Desca at about 6:40 a.m. on Sunday. The man told deputies he fired a warning shot into the air and the suspect ran from the area. Deputies searched the area and found a suspect with a clown mask who was arrested for possession of burglary tools. But the sheriff's department said the suspect arrested was highly unlikely to be related to the clown who attempted to approach the home with a knife. Deputies said they spoke with the homeowner who fired the warning shot and searched his home. The sheriff's department said drugs and firearms were found in the home and the homeowner was taken into custody.